Click the buttons / section headings below to navigate between the kickoff information, recordings, and materials. Central Valley Robotics formally invites all Central Valley FIRST LEGO League and FIRST LEGO League Jr. teams to join us for the 2017 Central Valley Kickoff on September 9th, 2017 at Alta Sierra Intermediate. The festivities officially start at 8:30 AM with the keynote from the CVR Director, Michael Adam. Following the Keynote will be three 50-minute training sessions for coaches to attend. (See below for details on the sessions). Starting at 12PM there will be a lunch networking break with a food truck on site. Finally, at 1:30pm CVR will host an afternoon FIRST LEGO League robot game demonstration, “FIRST LEGO League in Ten Days”, where high school team members will demonstrate some solutions they came up with for this year’s season. For lunch and the afternoon competition, we welcome parents and student members to join us! Annual Kickoff Event to learn about the 2017 FIRST LEGO League and FIRST LEGO League Jr. Seasons in the Central Valley. Coaches can attend sessions on a variety of topics to help them this season. See below for more information. Agenda was last updated on August 22nd. 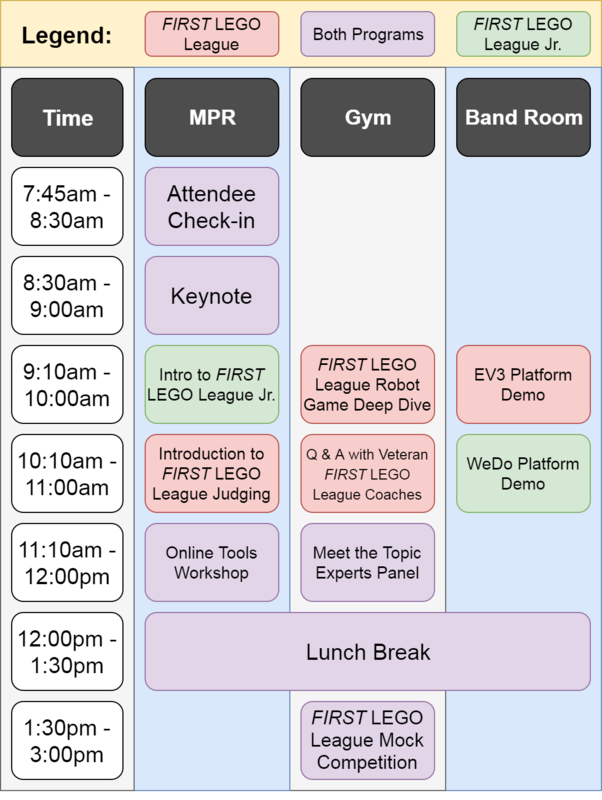 The day is broken up into three parts: the keynote, the break-out training sessions, and the “FIRST LEGO League in Ten Days” mock competition. Attendees can check-in and get refreshments! MPR Session: Intro to FIRST LEGO League Jr.
Come learn about FIRST LEGO League Jr. and the 2017 FIRST LEGO League Jr. season: AQUA ADVENTURE! Join our Head Referee and other CVR Staff as we go in-depth into the rules, missions, and robot game updates. We will discuss the Robot Game procedure and what to expect at events. Join our Regional Judge Advisor as she introduces the judging and deliberation process at our events. This session is geared for new coaches and will cover the basics of FIRST LEGO League judging. Join our technology team as they demo all of the online tools available to teams this season. This includes the CVR website, MyCVR, firstlegoleague.org and more. Join our judging team as they facilitate a question and answer forum with industry experts from fields relating to the HYDRO DYNAMICS and AQUA ADVENTURE challenges. Make connections with experts that will allow your team to share their innovative solutions. 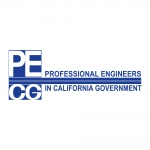 We have representatives from: California Water Institute, Kings River Water Association, California State Water Resources Control Board, and the Clovis Public Utilities Department. During the lunch period we will have a local food truck that will be out to serve lunch. Also, we are bringing back the “FRC Row” where local FIRST Robotics Competition teams will be out demonstrating their robots, promoting their brands, and offering support for FIRST LEGO League and FIRST LEGO League Jr. coaches. CVR has invited a number of local high school robotics teams to show off what they can do with the HYDRO DYNAMICS Challenge in just ten days. Watch these high school students act like FIRST LEGO League teams and show off their solutions. Check out their robots during the lunch hour, and ask them questions regarding design, programming, and more! We welcome parent and students to join us for lunch and the afternoon mock competition. Parents and students do not need tickets for the afternoon session. The kickoff materials are provided as a reference. CVR tried to ensure the information presented at the kickoff was accurate when presented. These recordings and materials do not represent official policies or rules and cannot be used to justify actions to event officials. Please read the Season Standards Manual and Challenge Documents for official rules at events. Online tools workshop coming soon! 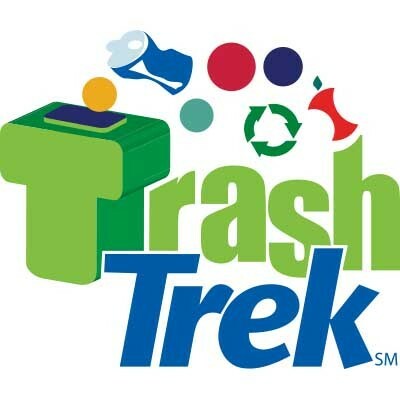 Please let us know when the Kick-off materials will be posted to the website. Thanks! Philip, we will get the materials and video posted to the kickoff page in the next week or so. Philip, the kickoff resources will get posted tomorrow, September 14th.